The information presented on this page was originally released on March 4, 2002. It may not be outdated, but please search our site for more current information. If you plan to quote or reference this information in a publication, please check with the Extension specialist or author before proceeding. As vegetable gardening season rapidly approaches, it's time to decide whether to use transplants or direct seed. If you are as anxious as I am to get underway, then you might consider growing transplants. Vegetables that always should be transplanted in Mississippi include all types of peppers, eggplants and tomatoes. If you expand the definition of a transplant, then it includes sweet potatoes and Irish potatoes. Vegetables that generally do best when transplanted in Mississippi include lettuce, bulb onions, broccoli, cauliflower, cabbage, Brussels sprouts and collards. It reduces or avoids adverse environmental conditions affecting the growth of the plants. This fourth advantage is the reason that peppers, eggplants and tomatoes should always be transplanted. These garden favorites, especially tomatoes, must bloom and set their fruit before temperatures get too hot. If we wait until frost is over to sow seeds, we will be in extreme heat when flower production starts. Our last frost-free date is weeks away, but we can plant some hard-to-find seeds now, so we can have transplants in April. Select nursery-grown transplants when available, but sometimes you might need to grow your own. Easy-grow greenhouses purchased at a garden center will simplify your job. They come with a tray, plastic or peat planting cells, and a clear plastic dome cover that acts like a greenhouse. Fill the cells with a good, light, planting mix. Moisten the soil thoroughly but not to the point of letting the planting tray stand in water. Plant one or two seeds per cell and cover with a thin layer of soil. Water seeds, but do not soak them, then place the greenhouse dome on top of the flat. Put the miniature greenhouse in a well-lighted area near a south window. Check the soil occasionally to be sure it stays moist. Three to four days after the seeds have germinated, use a small stick to prop the dome open. This allows fresh air to reach the seedlings. 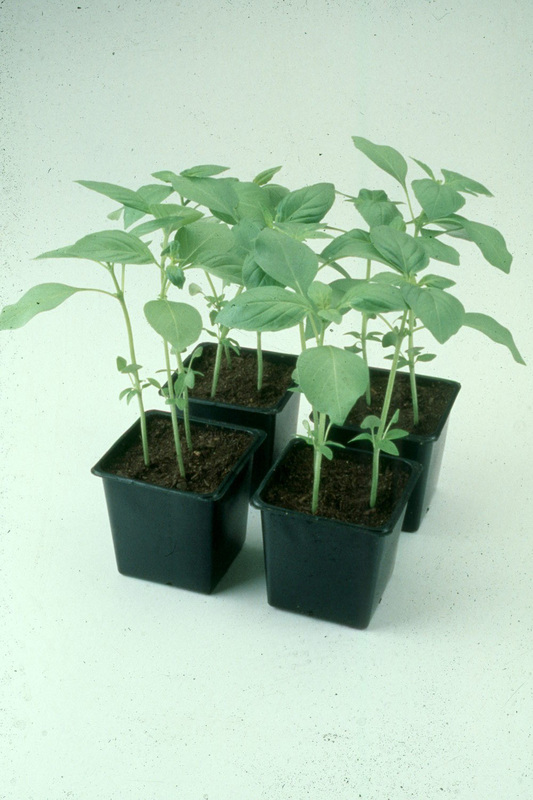 In four to six weeks when seedlings are well rooted, remove pop-up cells from tray. Let seedlings harden outdoors in a shady area for about two days. Then pop the individual plants out of their cells and transplant into the garden or a larger container. Get after it gardeners, and you can have your best garden ever!